(The remarks of the editor are in italics. Sister Patricia Haley, “Pat”, holds the distinction of being the first Sister of Charity of Nazareth who can claim African American descent. She was an honored and cherished member of the SCN Community as well as a religious woman appreciated in wider American Church circles. Especially impressive was her founding membership in the National Black Sisters Conference. 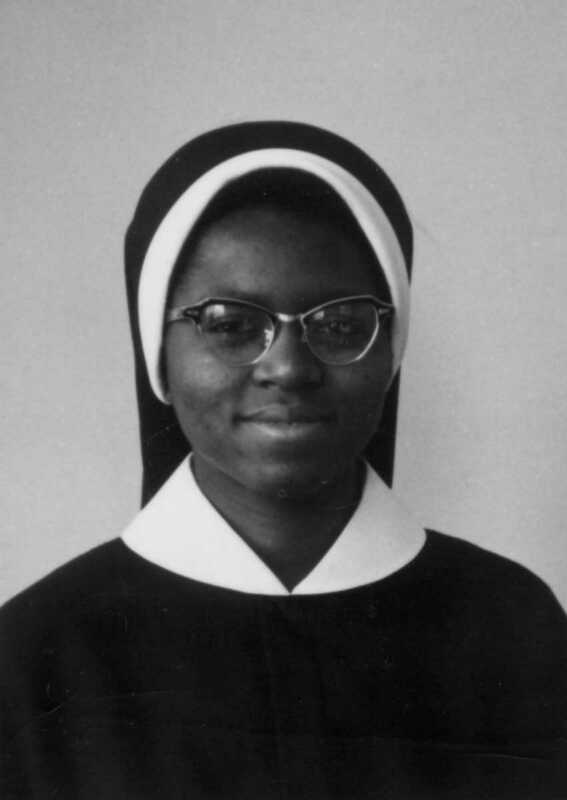 Her story here is adapted from her interview with Sister Therese Arru, SCN, with gratitude to Cherrylle Coleman, Archival Center volunteer, for her work transcribing the interview. Julius was a chef and taught them all how to cook. One of the places where Julius was employed was the Morrison Cafeteria chain. When he was transferred to Montgomery, Alabama the family moved with him. Pat enrolled at St. Jude’s School staffed by the Vincentian Sisters of Charity (VSC), now members of the SCN Community. Pat had first met the Vincentians while in the second grade at Mother Mary Mission in Phenix City, AL. A fellow St. Jude student, Norma, later entered the VSCs and became Sister Julian. When Great-gran gave a spanking she always ended with, ‘In the name of the Father God (womp! ), in the name of the Mother God, Jesus’ mama (womp! ), in the name of Jesus Christ (womp,womp!!) and in the name of the Holy Ghost (womp, womp!! ).’ I would try to talk Big Momma out of it but it didn’t work. I’d say, ‘Jesus Christ was ONE and the Holy Ghost was ONE’. Another memory I have is that the same little group of girls decided that we were going to collect some money and pretend it was for the Church fundraiser that was going on. We collected a few nickels and dimes. We spread out our little handkerchiefs with the coins in them but we were just kindergarteners’ so we couldn’t count. When Great-gran saw us she counted it for us and complimented us on raising money for the Church. She told the pastor and the next Sunday we had to walk down the Church aisle and put the money in the collection basket. We weren’t happy about that. Growing up, Pat wanted to take piano lessons but her mother chose drama and public speaking which Pat was happy about later in life. Her parents were excellent dancers and the Haley girls learned from them. From her Great-gran she learned to listen to the church choir. She and several other little girls thought that they had learned the hymn, “Nearer, my God to Thee”, except that when the deacon called them up to sing in their little Sunday dresses what they sang was, “Nero, my God , to Thee.” From her Great-gran Pat leaned many things and missed her terribly after she died when Pat was in the tenth grade. “I remember that the first thing in the morning,” Pat shared, “we got up, hit our knees, said a prayer and made our beds. On Sundays there was a children’s Mass at 9:00 A.M., which we all, including my Mom and Dad, attended. We would then go home, have breakfast and go to my mother’s church at 11:30”. In Montgomery, Pat remembers the kind Vincentian Sisters mentioning religious vocation even though the students were small. 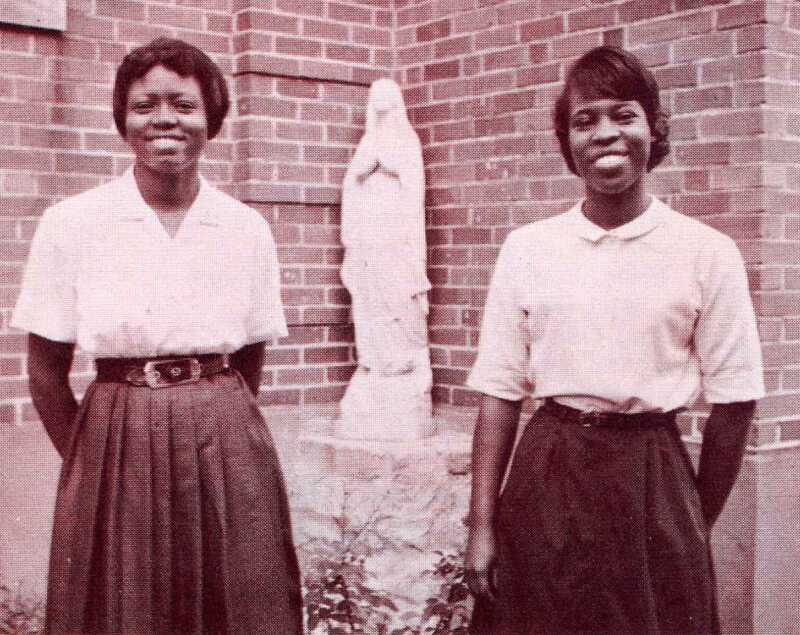 When they moved to the Birmingham area because of her father’s work, Pat first met the Sisters of Charity of Nazareth at Holy Family High School, Ensley. SCNs also staffed a small hospital in the same location. After grade school, which the Felician Sisters staffed, Pat attended Holy Family. She was on a work study program and remembers the name of the Sister staff there: Mary Timothy Holland, James Teresa Hagan, Ruth Edward Speer, and Charles Benedict Greenwell. The latter the students teasingly called “Sister Huck” after Huckleberry Hound whose floppy ears reminded them of Sister’s floppy bows on her bonnet. Pat and her friends became candy stripers at Holy Family Hospital and called themselves “Ben Casey girls” after a popular TV character. They made friends with the Sisters at the hospital, especially Sister Ann Jude Whitty. Pat’s friends even became nurses, one of them a head nurse at the University of Alabama Hospital even though as a candy striper she screamed and ran from the room when she found a patient had died. Pat’s plans were different. She was in the ROTC (Reserve Officer Training Corps) and actually signed up with the Marines, planning to become an attorney in that branch of Military Service. Her older sister had joined the Air Force and Pat knew that before she could join the Marines she needed to graduate high school and then get her parents’ signature. Pat admired her mother and the wise ways she had for keeping the family’s finances. She also taught her children that the family shared responsibility for its upkeep. Any small monies the children would acquire were expected to be put into the family fund. Pat’s mother said to them, “Everybody is working for the family and everyone has to share.” Each family member took turns counting out the cash from the parents’ paychecks plus the children’s small contributions. Everyone knew about the family’s financial status. Further, the member in need received the item necessary. All knew that need was the priority. Allowances, on the other hand, were to be spent as desired. 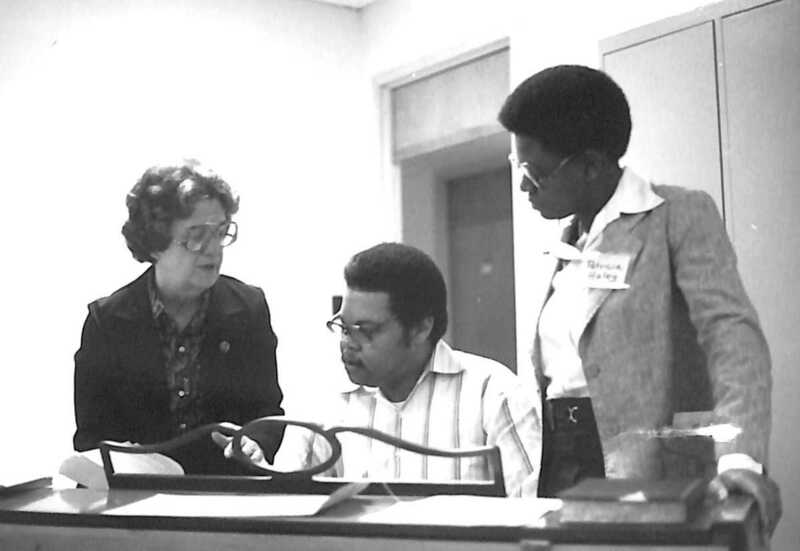 During her high school years Pat took part in civil rights activities. She had the experience of water hoses, torn clothing and dirty cattle trucks. Her very wise mother impressed on her daughter how serious the civil rights issue was and how important the consequences. 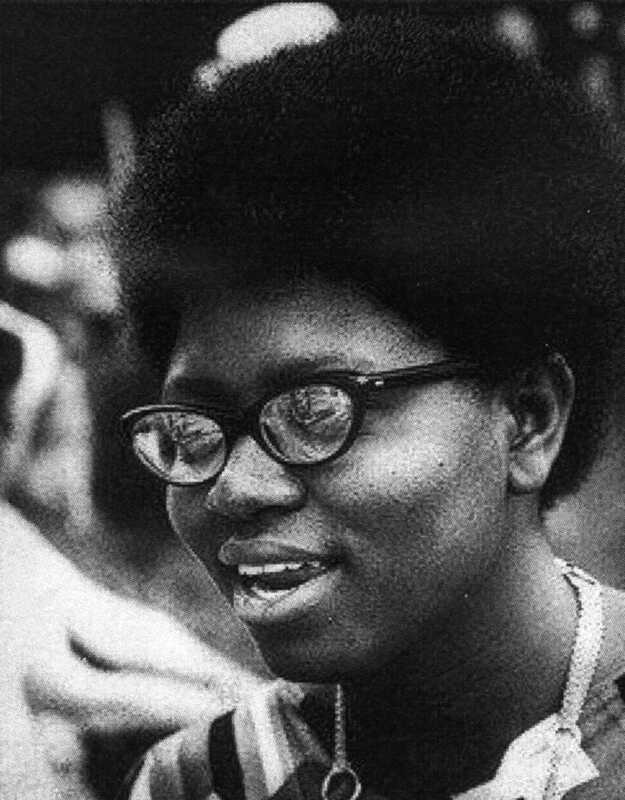 There were forty-five young women who entered the community with Pat in 1963. Now these Sisters remain – Sisters Betty Blandford, Marie Becker, Rebecca Miles and Eleanor Martin. They gather several times a year and are joined by former members who can attend. Sister Kay Glunk, formerly a Vincentian Sister of Charity, is considered a member of their group. A really comical story is that Pat’s novitiate class had to wait until an older group had their share of a pizza treat prepared by Sister Margaret Patrick Gallagher. There was almost none left for Pat and her class. Much grinning came from them when they realized that the treat was actually liver pizza. Pat made vows in August 1966 and remained at Nazareth for Juniorate training until 1968. Her first mission away was at St. Ladislas School in Columbus, Ohio. Pat said this, “When I was assured that there were black children in school, I agreed to go. There were only ten in the whole school and three of them were in my second grade class. I stayed only a year but I have good memories of this assignment and remember well the Sisters with whom I lived: Andrew Maria Gass, Louise Smith, Wilma Ross, Mary Jane Sappington, Martha Clan, Anselma Trimborn.” A sad memory is that during the time she was missioned at St. Ladislas, Dr. King was assassinated and yet the pastor didn’t mention it until Sister Anselma told him. At the same time Pat was also in a preaching ministry. When she flew to various places and was given a deck of cards by the airline stewardess, she brought them home to her “card playing ladies” at St. Ladislas. Pat went to Louisville in June 1969 where she would teach at various times at these schools: St. Matthias, St. Brigid and Immaculate Heart of Mary. She studied Urban Development and Government Administration at the University of Louisville but became ill and did not complete her Master’s degree. (Pat had already received a Bachelor of Science in Education at Nazareth College, Nazareth.) During this time of study she lived at St. Thomas-St. Vincent Home. When the Federal Government passed Title IX legislation, the law that opened education opportunities without discrimination of gender, Pat signed up to go to Washington, D.C. to learn more about it. She donned a pinstripe suit, had a brand new brief case and took her place with others learning about the new law. When she returned, she was able to apply her knowledge of Title IX to benefit students at Immaculate Heart of Mary School. Sister Barbara Thomas, Superior General, gave Pat the approval to answer her call to teach and speak about black history whenever she could, as well as giving workshops and participating in revivals. In the 1960’s and 1970’s there not many SCNs who were willing to live in an all-black neighborhood. Pat knew that she didn’t want to live in an all-white neighborhood. Pat, with a group of Sisters, did move to the West End of Louisville. Besides Pat, the group was comprised of Sisters Kathleen Flaherty, Mary Kathleen Sheehan, Janet Daugherty, Ann Kateri Kenyon, Sister Peggy Corbett and Barbara Houston, a Sister of Notre Dame who transferred to the SCN Community, but later withdrew. At the invitation of Fathers Tony Heitzman and Charles Mackin, they moved into the former Sacred Heart Church rectory, located at 18th Street and Broadway. While Sister Pat was away in Indianapolis marching with a civil rights group, the other Sisters, at the urging of the Tenants Union, tore down a dilapidated, abandoned house in the area. They were arrested for throwing debris into the street and blocking traffic on Dixie Highway. When their mug shots were taken, the Sisters refused to be sad and even asked the police officer, “Could I have another picture for my parents?” The officer said he never wanted to see them again for anything. A trial date was set for March 10, 1972 and, to the displeasure of the judge, the Sisters asked for individual trials. Two busloads of persons came from the Plymouth Settlement House as well a busload of Sisters, including Mother Lucille, from Nazareth. Sister Pat brought children in, carrying balloons and singing, “We shall overcome.” Mother Lucille was the first character witness and the Sisters showed their support by saying “Amen” whenever there was a “So help me God.” Some were saying the rosary. (In Pat’s words, “It was a show.” For those of us there, it was indeed a memorable happening, humorous but serious in its consequence.) The prosecution sent the jury out and one juror just left the scene because he knew what the outcome was bound to be. When the judge said “case dismissed’ for Kathleen Flaherty, they decided to settle out of court rather than parade the other Sisters through the charade. 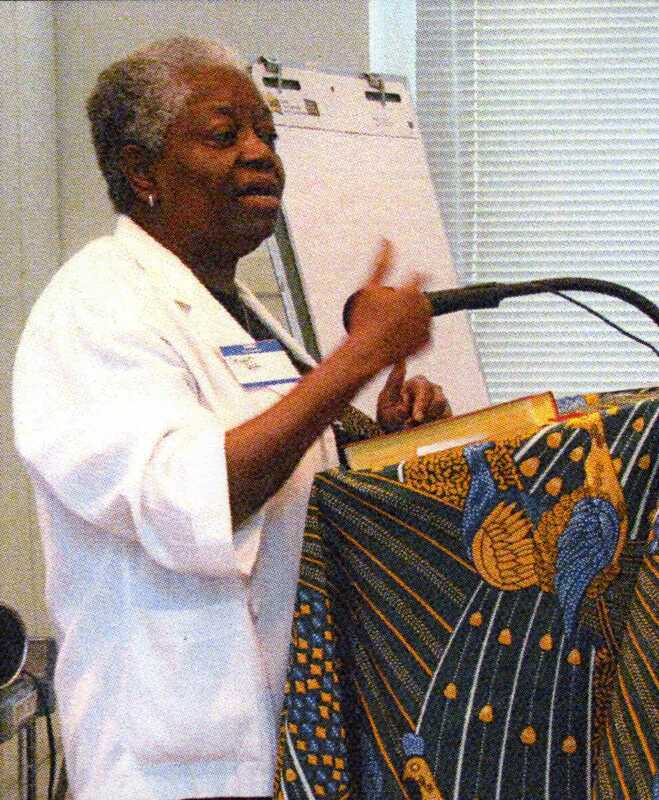 Pat was one of the first teachers in the Black Catholic Studies program at Xavier University in New Orleans, Louisiana and taught there for twenty-eight summers. In 1982, she went to Philadelphia, Pennsylvania where she worked with the police department. She described her role in this way, “They had a family service unit with real social workers. They had truant kids and those who were not social workers were assigned to deal with those kids. I worked there for eight years until they closed the unit. From there I went to Our Lady of Souls Parish where the pastor wanted me to be a choir director. 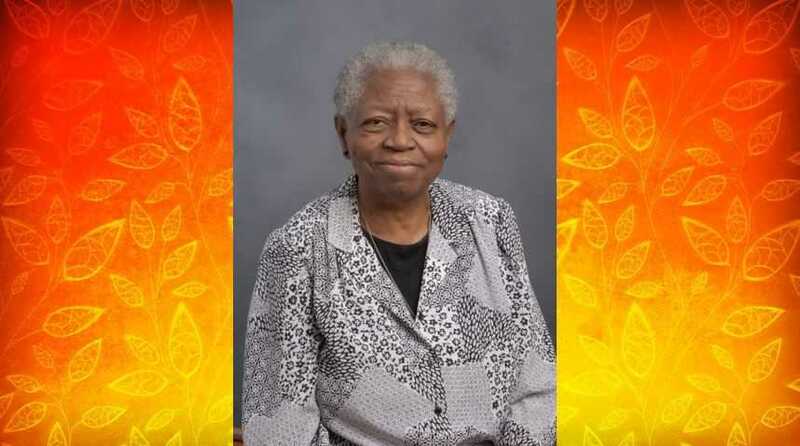 I told him I was not prepared for that but he said I knew how to wave my hands up and down.” Her role in the parish was Director of the Spiritual Vocation Center and, after four years, she worked in the Office of Black Catholics, still in Philadelphia. In 2000, Pat went to Tampa, Florida in the Diocese of St. Petersburg, where she again was at the Office of Black Catholics and in parish social ministry. She remained in Florida eleven years, living with a family where the wife was from India and husband from Trinidad. In 2011, Pat came to the Motherhouse at Nazareth. Her health was a great challenge for her but, whenever she was able, she sang at Mass, many times composing the songs herself according to the liturgy of the day. Pat remains a very beautiful person and an inspiration. Thank you Sr. Pat! I met Sr. Pat Haley in the early 80’s when I was a high school student in Philadelphia PA. I used to help Sister Pat with Our Lady of the Holy Souls Choir, and other musical and liturgical events in the Archdiocese of Philadelphia. When I graduated from high school (83)and was entering the Josephites, Sr. Pat had me come down to New Orleans during the summer, to assist with the music at the masses. She also introduced me to the National Black Clergy, Sisters, and Seminarians Joint Conference, during that summer. This was a whole new world to me, getting more in touch with my history, and cultural implementations in the Catholic Church. Sr. Pat was like family! When I left the Josephites and began studying for the Archdiocese of Philadelphia, Sr. Pat was there, by my side: offering support. I went to visit Sr. Pat in Louisville KY a few years ago. We went out to eat every day during my visit, at some of her favorite local eateries. We shared and talked about the, “Good Old Days.” Oh, how I wanted to come to Sr. Pat’s home going services, but was unable at the last minute, due to a family emergency. I know that she would want me to be at home, and I am glad that I was there for my mom. I will remember the wonderful visits, her 50th Jubilee Celebration, and seeing her at the Joint Conference. Thank you Sr. Pat! Your presence, zeal, and tenacity where be at me and my family’s side. Love you! I met”Pat in 1982 in Detroit when I attended my first joint conference of the National Black Sisters’ Conference and the National Black Catholic Clergy Caucus. I will never forget the first time I heard her sing “The Lord is my Life and my Salvation”. Her voice took us before the throne of grace. She became my sister, mentor and friend. In 2016 I had the honor of giving the sermon at her 50th Anniversary Mass and yesterday, I gave the sermon at her home going. As we processed with her body to the cemetery we were accompanied by her beautiful voice singing her beloved spirituals. She was now truly “free at last”! I will miss you, my friend. RIP. Again thank you Therese and Maria for this wonderful account. So many wonderful SCNs! It is true that we don’t often realize the greatness of a person until they depart this earth. We are all so blessed to have shared the life of Sr. Pat, because she was always a beacon of hope and a positive knowledge of her life in the service of God. I knew Pat when she entered the novitiate. I was a first year and was her ‘big sister’. She was fun , strong and had a great sense of humor. ‘What a powerful influence she had through out her vocation! God rest you Pat , dear. Thank you, Pat and Godspeed! I’m sure Pat went swaying up to heaven just like she did at her Golden Jubilee at St Martin of Tours! This time she didn’t need any help in keeping her steady! Love you, Pat! I thank God for Pat and her courage. Proud of our Congregational leaders who supported her pioneering ways. Pat was truly a compassionate individual. May we continue to learn from her legacy. What powerful life. Pat was truly prophetic, joyful and light hearted. Thank you Therese and Maria for sharing Pat’s inspiring life story. Thank you Pat for being a pioneer woman in many ways!